Many look forward to the blissful days of Summer, but those with a condition called hyperhidrosis, or excessive sweating, it can mean no relief from embarrassing underarm sweating and sweat marks on clothes. 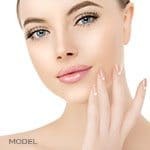 The good news, according to Dr. Richard Buckley, Medical Director at the cosmetic surgery practice in Milford, Penn., is that there is a laser treatment for excessive underarm sweating. 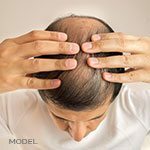 It can be done during one’s lunch hour and, usually, one treatment is all that is needed for permanent results. Embarrassing sweat marks has been a trademark for those suffering from hyperhidrosis – until now. MilfordMD’s PrecisionTx minimally invasive procedure offers permanent relief from excessive sweating. “When people suffer from the medical condition hyperhidrosis, they sweat a lot and unpredictably. They might be at rest or in a cool place, yet they sweat, regardless,” Dr. Buckley says. “The condition, which appears to be a result of overactive sweat glands, leads to physical and emotional discomfort.” Dr. Buckley says there are a few treatments that work for patients who can’t get relief from antiperspirants. One is the use of the widely used neurotoxin Botox, which chemically treats the condition by temporarily blocking secretion of the chemical that turns on the body’s sweat glands. The other option, and the one that Dr. Buckley says his patients prefer, is PrecisionTx, an Nd:YAG 1440 nm wavelength laser.